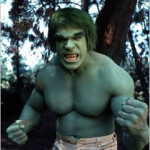 Filed Under: Pop Culture & Social Trends, Satire Tagged With: cruel humor, incredible hulk, lou ferrigno interview, mocking the handicapped, more mean than funny, WTF? New Book Coming March 27th! Autism Dad 3!